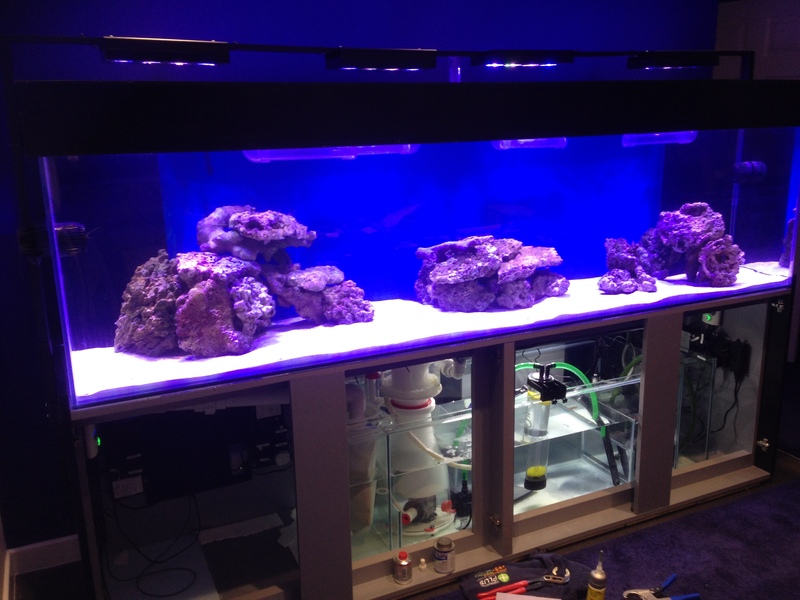 This is an 8 foot marine aquarium we installed for a client in May 2014. The aquarium is lit with Eco Tech ‘Radion’ LED lighting and uses Eco Tech ‘Vortech MP40’ circulation pumps to create current. The sump houses a Bubble Magus protein skimmer, D&D reactor, 2x 300W heaters, refugium, TMC Aquaray ‘Growbeam 1000’ and an Eheim return pump. 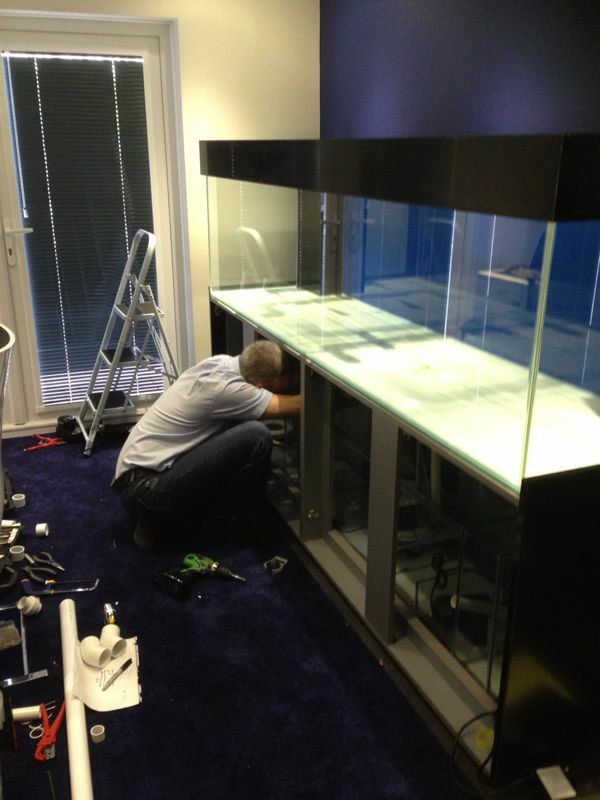 The aquarium is controlled and can be adjusted with an Apex controller. We aquascaped the display tank with 4 island rock formations and filled the tank for the customer with over 600 litres of salted RO water.